So How many religions are there in the world today !!?? 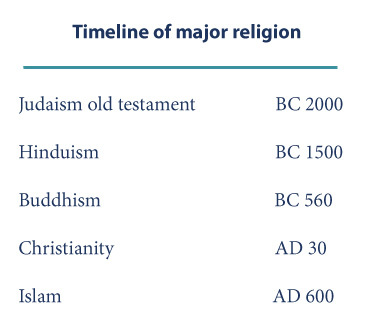 Rough approximations show it is over 4000 among which 18 are considered as major religions.It is quite interesting going back to the origin and evolution of religion and religious founders. How do they evolved ?. Is there any supernatural phenomenon behind all this.Time plays an important role in religious evolution. Many World religions are associated with some key people regarded as the founder of it. For example, Buddhism, Zoroastrianism or Confucianism, Buddha, Zarathustra Confucius are regarded as the founders of these religions. So how do religions evolved? The rational approach is necessary to understand the origin and roots of religions. If we going back to the historical facts about most religion, it is related to the teachings of one who regarded as the founders of it. While, for some other religions, the founder is anonymous and the followers believe those religious scriptures are given to humankind directly from god. Though every religion has its own unique scriptures. For Islam and Christians only one scripture is most worshipped (Holly Bible and Quran). On the other hand, multiple sacred writings are common in eastern religions, especially for Hinduism and Buddhism.The fact is every religion are based on its own theological virtue in its deep. 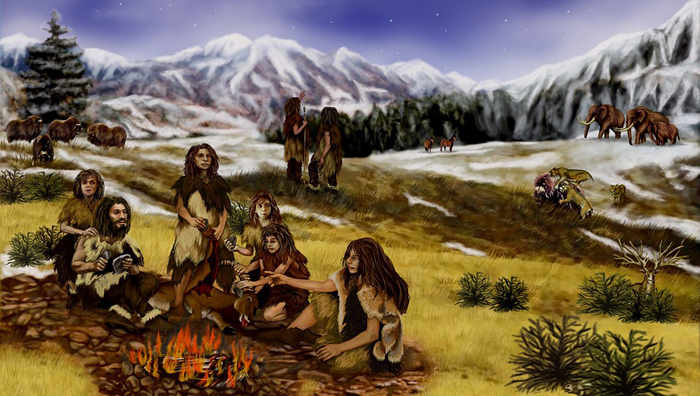 In the early stages of human history, people feared natural disasters like flood and earthquake etc. Because those disasters pose threat to their life and crops. So they believed in supernatural powers. This is mainly because of insufficient knowledge about world and fear. At this era, people worshipped mountains, oceans, clouds, fire and rain etc.As time passed by super intelligent people were born in the different part of the world in different periods in history with higher wisdom and creativity. They had higher moral values vision and insights. Their ideas have the capacity to change the world. They destroyed false and fake believes with their wisdom.They taught their revolutionary ideas to the world, written scriptures, gathered disciple etc. When those ideas and teachings are popularized, they engineered architectural structures which are later become the holy places. As more and more people came to believe in a specified practice methods of a particular religion it expanded to the other parts of the world. In Christianity disciples travelled all over the world to spread christ's messages. Hence different cultures produced different system of beliefs such us Pantheism, Polytheism, Atheism, Monotheism etc. Among all religions in the world today, Islam is the youngest which become widespread during the lifetime of prophet Mohammad (570-632).Though a religion is a collection of practices and cultural ethics.Teachings from one culture seem extremely different from others. What is generally common among different religions are all aim the goodwill of mankind. Religions teach moral and ethical values to the followers of it.